Towson University’s Bursar’s Office will now issue student rebates and refunds through a new third party business partner, BankMobile Disbursements. To decide how to get their refund, students will have to log in to their Disbursement Online Center (DOC) account and adjust their settings with BankMobile. If a student does not log-in and adjust any settings, the refund will, by default, be sent to their permanent address. However, if a student does not adjust his or her settings, BankMobile will sit on the refund for an additional 21 days, “waiting” for the student to decide how to receive the money, before mailing the check. The new rules and regulations, which have been in effect since July 1, will not only affect Towson, but higher education institutions across the nation. “Late last year, the Department of Education issued new regulations which called upon universities, like Towson, to make significant changes in certain agreements they have with banks,” PNC Bank Vice President and Senior Manager Marcey Zwiebel said in an email. According to the Department of Education’s informal final regulations, the new rules were put into place to protect students and to simplify the process for them. They are designed to protect private student information from providers, to make the process more convenient to students and to eliminate fees regarding access to these aid funds. “The regulations were to protect students with checking accounts and overdraft fees that the Department of Education felt needed to be developed and established. We certainly want to comply with that,” TU Bursar Office Director Thomas Ruby said. PNC vendors who had previously processed refunds were unable to meet the new regulations, so the TU Bursar’s office immediately contacted other vendors and found BankMobile to be the most compatible, Ruby said. 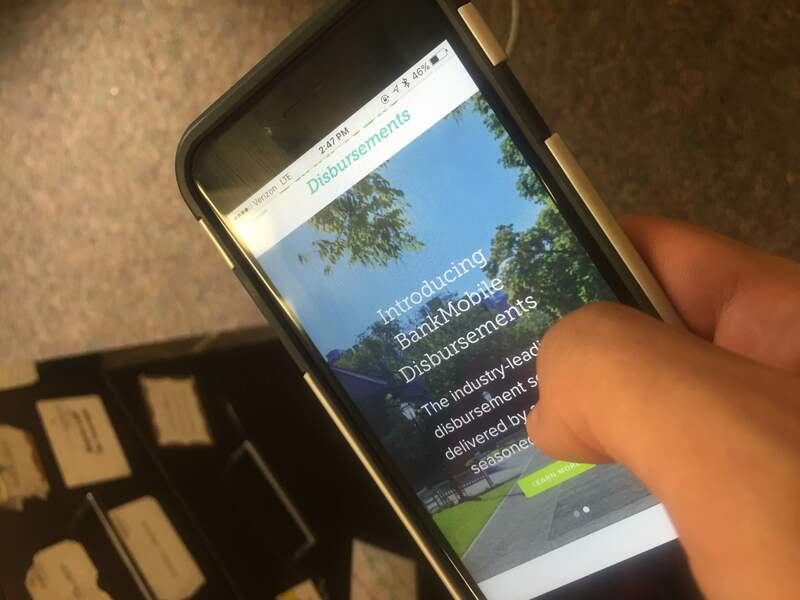 Other Maryland colleges and universities, such as Salisbury and UMBC, have already been using BankMobile. Money can be electronically deposited into a checking or savings account through any bank via direct deposit. Another option for disbursement will be to have the money put onto a special debit card which can be used at specific ATMs and retail stores. By default, every student’s disbursement will be sent through a check mailed to their permanent address. To change this, students can log in to their student center. From there, they can scroll down to finances and access their DOC account login.